I'm assisting Pro Health Fitness PT and OT, pro bono, with growing their Occupational Department with Neuro-based clients. 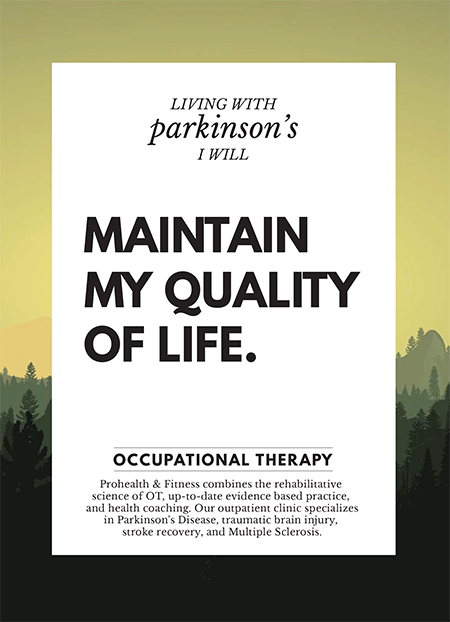 Their director of OT is building a practice as one of a kind NYC out patient clinic for patients living with Parkinson's, recovering from stroke, and maintaining a quality of life with MS. In NYC, there are no other out patient Neuro-based clinics, so the strategy is to build a network with Neuro-doctors so they can refer to Pro Health. 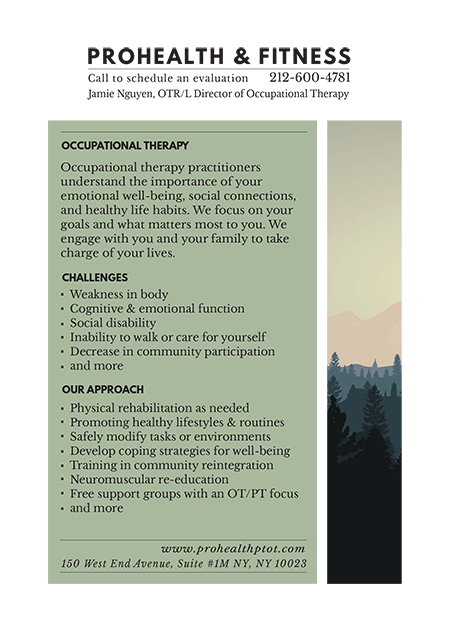 I created designs and the post cards so doctors and patients can understand how Occupational Therapy can help them in their recovery.